Barbadian singer Rihanna has once again missed a show on her Diamonds World Tour. The singer missed her show on April 15, 2013, due to an unidentified illness. Even last month, the singer had cancelled a show in Boston, even though it was just the second city on the tour. A follow-up performance was then lined up in Baltimore. Both times the singer had missed the show due to an illness as she was suffering from laryngitis. The promoters of the show have also clarified that the gig was postponed and not cancelled. The statement from the promoters Live Nation said, “Unfortunately, as a result of illness Rihanna is unable to perform this evening at Houston’s Toyota Center. Fans are instructed to retain their tickets to this event pending rescheduled show date information”. The Diamond tour is due to move on to the American airlines centre in Dallas on Tuesday. Even at the time of publication, the Dallas show was still listed as in progress. 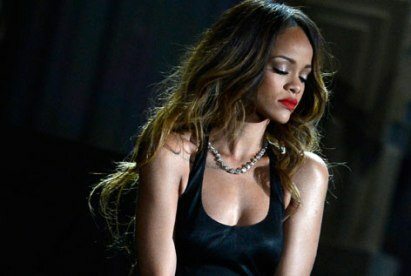 Rihanna had also explained about her illness saying that she has been sick since San Diego and that she kept working as she thought that two days off after the Vegas show will be enough time to get back to work.